Are you looking for family-friendly Haloween events in Leicestershire? At Solid State UK, we have put together a list of magical events to take part in this Halloween, providing fun for all the family. Come down to the award-winning event in Melton Mowbray this year. This unique event has a variety of things to get involved with and 20,000 free pumpkins ready to be carved. Magnificent prizes will be on offer and plenty of Halloween workshops, including crafts and even a broomstick flying masterclass. Fancy a wicked day out at the zoo? The Twycross witch will be making an appearance every day from 11am, inviting you to join in with her spells and songs around her cauldron. What’s more, you’ll have the chance to take part in a Halloween themed zoo trail to Help defeat the witches spell. Pumpkin carving will be available for £1.50 per child. If you’re looking to take part in something a little more gruesome, head down to Leicester Guildhall where you’ll find the barber-surgeon carrying out some terrifying treatments, including chopping off fingers and toes! Creepy crafts will be on offer, spooky trails, face painting and quizzes. Entry is £3.00 per person, Drop into this event between 11am and 3 pm. 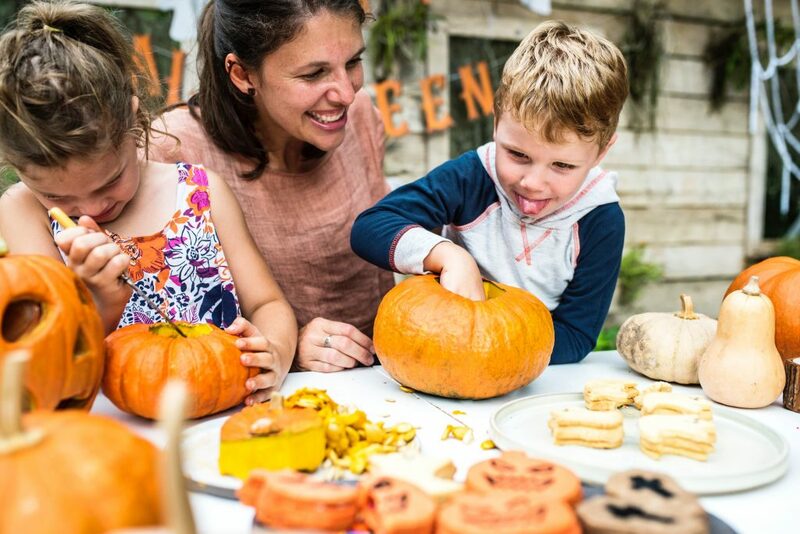 Head down to Cattows Farm, Leicestershire’s biggest pick your own pumpkin patch. Dress up in your favourite Halloween costume and wellingtons. Have fun on the tractor and trailer ride, get involved with Halloween crafts, pumpkin carving, scary stories, sweet treats and a scavenger hunt. The session at Cattows Farm is aimed at children from walking to 11 years and is a pre-booked event. The specialist team at Solid State UK have years of experience creating amazing events. We offer everything from furniture hire, backdrops, lighting and more. If you are putting on an event this year – no matter the theme or occasion – we can help. Call us today on 0116 2885956 or send your enquiry through our online contact form. Please check all information including the times and cost of each event before your visit.